My father died Friday before last, and I am now just getting the time and wherewithal to write about him. This is a personal memorial, because my father was very personal to me. He made me who I am. Characteristics that come to mind when I think of my father include: Capable, Curious, Adventurous, Professional, Open-minded, Encouraging, Enthusiastic, Supportive, Affectionate and Outgoing. I wanted to be all those things. And toward this, my father was my mentor and my idol. Things I saw my father do include: Love his wife with passion; encourage and praise his girls in everything they do or aspire to do, always-always-always be there for any family member or friend in need; take on new challenges; explore new ideas; build things; travel the world and make friends everywhere; love the natural world; change and grow throughout his healthy life. 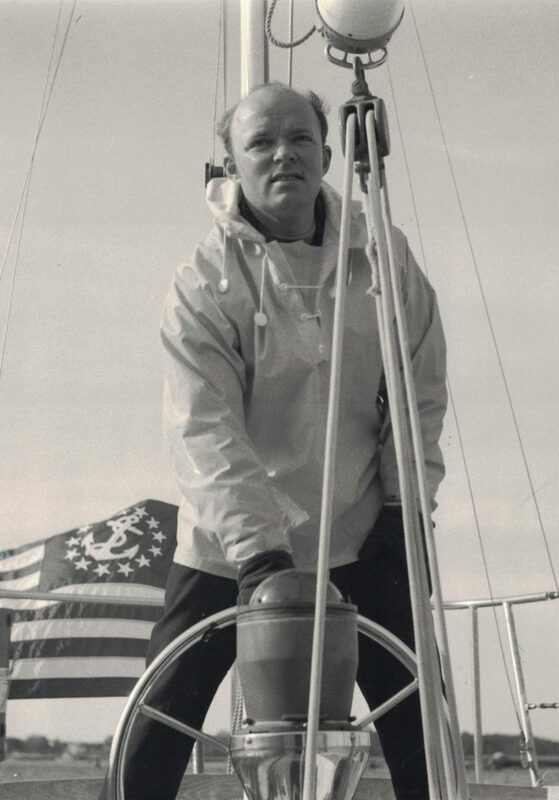 Things my father introduced me to include: Sailing, mountaineering, hunting, canoeing, the ocean, the forest, travel, meditation, passion for life, passion for nature, passion for people, many places and ideas, and my own can-do spirit. My father made me who I am: the mariner, the adventurer, the capable person who does things, builds things, and loves people, places, challenges & growth. Was my father perfect? Far from it. I have known great anger for the parts of him, and myself, that I would have otherwise. But since his death, I have become at peace with these things, accepting them as fodder for continued growth in my own life. It is his spirit of growth and adventure that will carry me through these challenges, and will keep me discovering new parts of myself, and the people & places of the world. My father taught me to sail starting at age 5. He taught me to cruise and navigate the Salish Sea starting at age 10. From there the adventures and growth have not ceased. Thank you Dad for being who you are, and thank you for making me who I am.